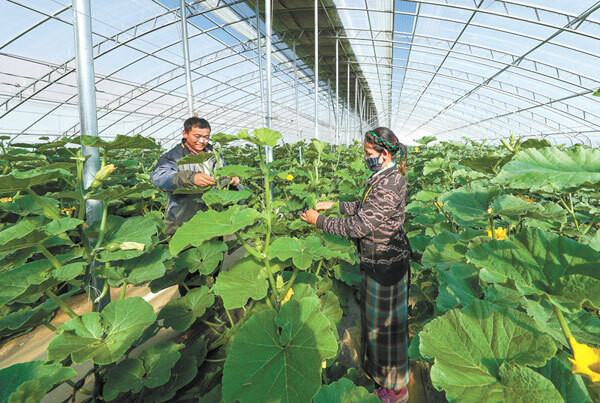 In recent years, thanks to the help of farming experts from Shandong province, Bainang County has accelerated the development of vegetable industry to build a normative and high-end vegetable production model. Based on its traditional varieties, the Modern Agricultural Science and Technology Demonstration Park has introduced new fruit and vegetable varieties with better adaptability such as strawberry, pleurotus eryngii, pepquino and others. Simultaneously, the park has cooperated with local supermarkets, farm produce fairs and key enterprises, so as to expand marketing channel, increase villagers' income.